We invite you to join us on Thursday, November 8th, from 11am-2pm for a Holiday Bazaar featuring the work of New Haven’s Woodcrafts Etc. & Catering 4Youth students. Our boys have been busy preparing to show you their skilled craftsmanship. Light refreshments prepared & served by our Catering4Youth students. This is an ‘open house’ style event so stop by anytime between 11am-2pm and say hello! We look forward to seeing you! 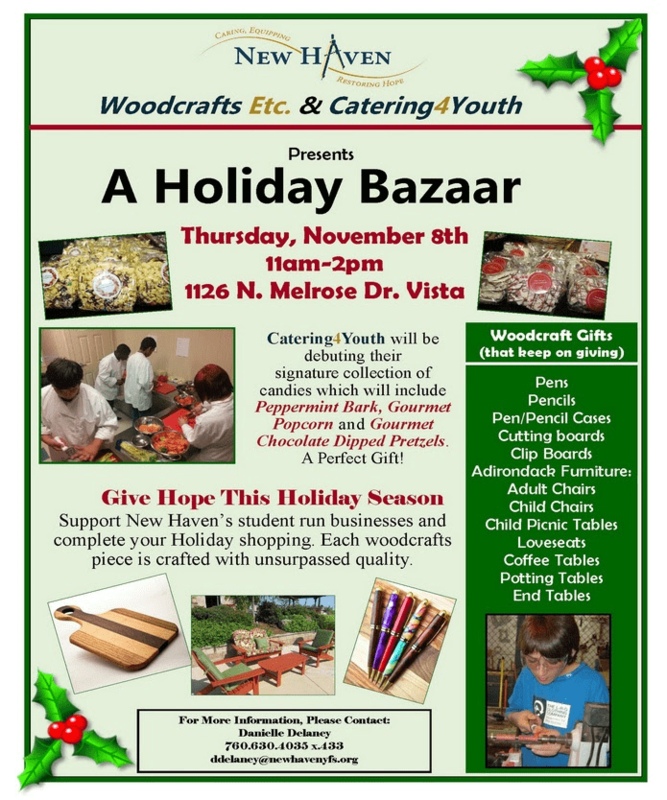 If you are unable to attend but would like to do some Holiday shopping, please go to our website at newhavenwoodcrafts.com or contact Danielle Delaney at 760.630.4035 x. 433.